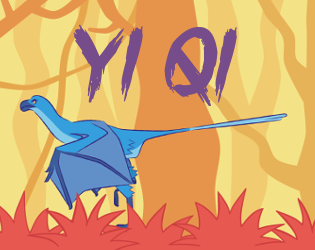 We are happy to announce that week ago we successfully released Yi qi on itch.io! Yi qi is a 2d platformer with colourful graphics in which you take a role of a small dinosaur, that has to feed it’s hatchlings. You hunt wasps while maneuvering through hazardous levels. Now you can enjoy this little game on your own. Download it for free from itch.io.